Gianmaria Rossignolo is set to take control of Pininfarina's Grugliasco factory (centre) although the design house will retain the windtunnel facility (top). 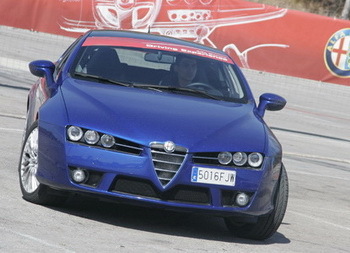 The Alfa Romeo Brera (bottom) and Spider will continue to be built at Grugliasco under the new ownership until the contract comes to an end. Gianmario Rossignolo, who failed several times to buy Bertone, is finally on the threshold of realising his car manufacturing ambitions as he takes control of Pininfarina's Grugliasco factory in a deal which sees the historic Italian design house winding down its car building operations. 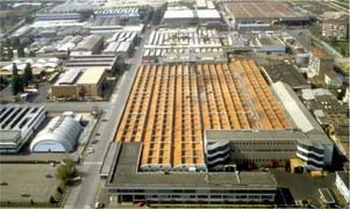 In the terms announced yesterday, Rossignolo's company Innovation in Auto Industry S.p.A. (IAI) will take control of Grugliasco in a 15 million euro deal financed by FinPiemonte-Partecipazioni S.p.A., a finance company controlled by the Piedmont Regional Administration, which will rent the premises back to him for the next six years. Pininfarina will use the payment to cover costs associated with exiting the Grugliasco operation. Rossignolo plans to build a series of innovative, lightweight vehicles and in the announcement yesterday it was revealed that Pininfarina will be entrusted with designing these cars. The Italian businessman, a former CEO of Lancia, had in fact been in the frame to buy another failing Turin-based design house and contract manufacturer, this time Bertone, two years ago. However with a deal on the table and having been agreed by all parties, Bertone CEO Lilli Bertone abruptly changed course at the very final moment and instead favoured the alternative plans of Italian business turnaround specialist Domenico Reviglio, the founder of Gruppo Prototipo. However she negotiated the last-minute deal with Reviglio without the knowledge or permission of her two daughters, who were also shareholders in Bertone, and the resulting fall-out saw the company instead collapsing into receivership and just this summer Fiat Group purchased Bertone's factory (also located in Grugliasco) but not the name or design arm. IAI will take control of Pininfarina's Grugliasco premises, machinery, equipment and the contracts of the 900 staff, except for the on-site windtunnel which will remain in Pininfarina's hands. 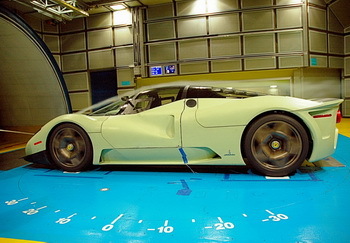 According to the official statement "IAI will enter into a subcontracting agreement (at cost) with Pininfarina for the premises, equipment and tools, systems and human resources needed to provide the sheet-metal bodywork and painting services required to carry out until completion existing production orders for Alfa Romeo [Brera and Spider] and Ford [Focus CC]. The parties have further agreed to enter into a collaboration contract for the styling of the first vehicle that IAI will produce. Should Pininfarina request it, IAI will enter into a multi-year painting services contract (on market terms) that will go into effect upon the expiration of the production orders currently handled by Pininfarina." The carmaking contracts are expected to run out in 2011. The deal sees struggling Pininfarina exiting the contract manufacturing arena, the operations that caused the company's downfall as it massively over extended itself and racked up unsustainable debts which have also resulted in the Pininfarina family being forced to sell its controlling stake. "This development represents a highly attractive opportunity for Pininfarina, which, once the transaction is completed, will have achieved an optimum size to develop its future production, styling and engineering activities in accordance with its industrial plan, the implementation of which will be significantly accelerated," added the statement issued by Pininfarina yesterday.